But we also need to look at the ways in which we fail to follow them, not because we as individuals have not done our best, but because there are societal barriers to living up to the mindfulness trainings. Sometimes it is impossible to do the right thing because the way society is organized does not make the right thing an option—because some of our major social institutions are currently organized around exploitation and oppression. Because of this, to move closer to the North Star of fulfilling the mindfulness trainings, we must engage in political activism that transforms the social barriers to living up to the mindfulness trainings, just as we must transform our own internal mental barriers to living up to them. For instance, buying clothes made in a sweatshop would seem to be a clear violation of the mindfulness training. But I’m fairly sure all my clothes were made in sweatshops—and unless you specifically know that your clothes were made fair trade or the like, you can safely assume the same. Sweatshops are the overwhelming norm in the global apparel industry. Every major company outsources most of its production to sweatshops. Nike, which has one of the worst reputations, is ironically one of the better companies—which merely means that, if they are caught red-handed using sweatshops, they will take short-term steps to address the problem. But no company is willing to take the long-term steps to fundamentally alter the production process so that it does not foster sweatshops. I’ve spoken with some people who seek to address this problem by only buying used clothes from thrift stores, so they are not directly implicated in purchasing from sweatshops. While I can see the appeal in this, sweatshop workers would actually rather that you buy the clothes they make. The anti-sweatshop movement only rarely does boycotts because the workers they seek to help don’t want people boycotting the companies they produce clothes for—they fear doing so would put them out of work instead of improving their working conditions. In those few cases in recent years where the anti-sweatshop movement has done boycotts, it has been to help workers who have already been laid off en masse and have nothing left to lose. So, while boycotting the entire apparel industry by buying clothes only from thrift stores may seem intuitively appealing, it is, upon a deeper examination of the issue, not necessarily skillful means. Rather than seeking to keep our hands completely clean, sometimes skillful means putting our hands into the muck of life and getting them dirty. And it’s not just apparel—in virtually every major industry, from agriculture to electronic goods, sweatshop production is the norm today. (On the other hand, what constitutes skillful means in fighting for social justice may well vary from industry to industry. In agriculture, buying organic food from small farmers actually makes sense as a strategy for social change, because there you are supporting an actual alternative.) What then might be skillful means for following the spirit of the mindfulness trainings, even if societal barriers keep us from following them to the letter? In my personal practice, I try to cultivate mindfulness of the ways I am implicated in the exploitation and oppression of others. This is not a very pleasant thing to reflect on. Many social justice activists would like to believe they are not implicated by virtue of their activism. But if I am purchasing goods made in a sweatshop, how am I not implicated? A simple start to this is to educate oneself on the issue. This to me seems part and parcel of the fourth of the Fourteen Mindfulness Trainings, Awareness of Suffering, which asks us to be “committed to finding ways, including personal contact and using telephone, electronic, audiovisual, and other means, to be with those who suffer, so we can help them transform their suffering into compassion, peace, and joy.” For some issues, like sweatshops, it is difficult for us to deepen our understanding of them through personal contact, but we can learn about them from other sources, such as books, magazine articles, the news, and documentaries. In regard to sweatshops, I particularly recommend the documentaries China Blue, which examines the sweatshop production of our jeans in China, and Food Chains, which looks at the sweatshops in the fields where our food, particularly tomatoes from Florida, are grown. Both films have a number of virtues: They help us look into the personal lives of not only the workers involved, but the businesspeople, not demonizing anyone, but letting us see them as complex human beings. They discuss in depth how the exploitation they expose is a systemic problem, found throughout the apparel and food industries, not simply the fault of a few bad people. And they do not depict the workers as passive victims in need of rescue, but show their struggles to improve their own lives. Through such self-education, we can better come to understand how we can transform suffering by taking collective, social action to transform the social system, so such suffering and exploitation is no longer fostered. I try to integrate such knowledge into my own personal practice as well, to make it more than intellectual, but part of my insight into the nature of interbeing. Everyday when I get dressed, I recite a modified version of the gatha (mindfulness verse) for getting dressed—“As I get dressed, I remember with gratitude those who made my clothes and with compassion the conditions under which they work. I wish everyone could live free from exploitation.” Then, as I get dressed, I look at the tags on my clothes to see where they were made and try to visualize the workers. One could do this with all manner of products, such as food or electronic goods. I choose to do it with clothes, both because my own research as a professional sociologist has focused on the anti-sweatshop movement, so I know quite a bit about the issue; and because the tags on our clothes saying where they were made provide a useful prompt for helping to visualize those who labored in cruel working conditions making them. By doing this, my connections with the people who made my clothes and the way I am implicated in their exploitation becomes less abstract and more a part of my sense of how I am interconnected with others, more of a sense of how my self is extended outward through all the long distance, anonymous relationships I have with the people who produce the goods and services I need to live my life. But cultivating awareness of the problem is only the first step. The next step is then to seek out skillful means to address the problem. As I have said, what may seem like an obvious step, trying not to buy new clothes to avoid being involved in the sweatshop production process, is actually unskillful, something that might even harm the workers we seek to help. To address the problem, we need to move beyond thinking about only our individual actions and think in terms of collective action. Problems such as sweatshops are not rooted in our individual choices, but in how society as a whole is organized. If we want to change how society as a whole is organized, we must take action at the societal level. That means forming a social movement and pushing for social change, whether by working to develop new social policies; meeting with and lobbying government and business officials, asking them to implement these policies; finding creative ways to draw media attention to the issue; or engaging in public protest and nonviolent direct actions such as civil disobedience, strikes, and, yes, even boycotts when they are strategically appropriate. In thinking how we want to transform society, while the reasons for any example of harm done by one person or group to another are complex and manifold, at the heart of most of them are three major problems. The first is significant inequalities in power, which make it possible for one person or group to oppress, exploit, and/or marginalize another group. The second is social distance—significant differences in social status based on hierarchies of power and what groups someone is defined as belonging to. The greater the social distance, the harder it is for people to understand and have compassion for each other—and those in positions of power often have no need to understand those they oppress (while for the oppressed understanding those with power over them is often a survival strategy). It is worth stressing that social distance is not the same as face-to-face distance. In the pre-Civil War US South, slave owners often had daily face-to-face contact with their slaves, yet the social distance was immense and slave owners typically had little real understanding of the lives of slaves and little real compassion for them. Similarly, in China Blue (the documentary on sweatshops in China I mentioned above), the factory-owner focused on in the documentary had face-to-face dealings with his workforce, but rationalizes his exploitation of them to himself and the viewer. The third major problem is the human tendency to define people in terms of in-groups and out-groups—social groups we define as consisting of people like us (in-groups) or not like us (out-groups)—and then negatively stereotype people in those out-groups. How in-groups and out-groups are defined is intertwined with inequalities in power and social distance, with the powerful often defining the less powerful and more socially distant as part of an out-group, then stereotyping in some way that justifies their oppression, exploitation, or marginalization. For instance, the powerful have often infantilized the less powerful, stereotyping them as childlike and therefore needing to be dominated for their own good—colonizers stereotyped colonized people as unable to govern themselves, men have stereotyped women as irrational and thus incapable of being leaders, or conservative advocates of welfare reform have stereotyped welfare recipients as dependent and in need of being forced to find work. The powerful also sometimes objectify the less powerful, treating them in a way that ignores their ability to feel and suffer—the way men often sexually objectify women or the way humans objectify animals and ignore the suffering institutions like factory farming cause. Finally, members of an out-group may be outright demonized, stereotyped as irredeemably evil. This is often done to one’s enemies in war, but also to socially vulnerable groups that the powerful scapegoat for societies problems, as the Nazis did with Jews and right-wing populists do today with immigrants. The solutions to these social ills are not straightforward. For instance, many researchers have found, contrary to popular misconceptions, if people meet members of an out-group, it may actually heighten the degree to which they stereotype them, instead of undermining it. This is due to what psychologists call confirmation bias—our tendency to see only what fits with our expectations, so that people may see only in others only what they expect from their stereotypes, thereby seemingly confirming them. If the problems we are talking about are systemic and not just the result of people’s individual faults, then the solutions need to involve changing the social system, not just people’s hearts and minds (though doing so is often part of the path to changing the system). And if inequalities in power and social distance are the parts of the system that facilitate exploitation, oppression and marginalization, then reducing or eliminating those inequalities and distances are the goals we should be aiming for when trying to change the system. To return to the issue of sweatshops, the goal of anti-sweatshop activists is not simply to eliminate sweatshops, but to do so by empowering workers through allowing them to form their own democratic labor unions. The US-based activists I interviewed in my research feared that if they relied simply on the power of US consumers to pressure apparel companies to treat workers better, when consumers’ and activists’ attention moved on to other issues, workers would be left vulnerable and sweatshops could easily make a resurgence. Unions, on the other hand, allow workers to collectively act together to exercise power on their own, to meet with their employers and bargain for better working conditions and, if necessary, to take actions such as strikes to apply pressure to their employers to bargain in good faith and make genuine concessions. However, while unions reduce the gap in power between businesses and their workers, they do not completely equalize the relationship. Successfully fighting for union rights is an important step forward, but we should look for more radical solutions that foster even more equality, such as cooperatives, where the workers collectively own and democratically self-manage their businesses. Such co-ops eliminate the management-employee hierarchy and therefore the possibility of exploitation by management. When undertaking such campaigns, it is important to be in communication with those you are trying to help—otherwise you may misunderstand their situation and not truly help them. Compassionate intentions must be paired with skillful means—and skillful means rest in a good understanding of the situation. Sometimes, when people face extreme levels of oppression and are not organized into their own social movements, such communication be difficult or impossible in practical terms. Then well-intentioned people must do the best they can to help. But, when you can communicate with those you want to help, it is important to do so. In 1992, some anti-sweatshop activists in the US launched a campaign to stop child labor in Bangladesh by backing legislation in the US Congress that would ban apparel imports from that country until child labor was eliminated in the apparel industry. They did so, however, without consulting any Bangladeshi labor rights or children’s rights groups. The result was that these rights groups joined sweatshop-owners in protesting against the law. A ban on apparel imports would have devastated Bangladesh’s economy, since that industry is the second largest source of income for the country after remittances (emigrants sending money home to their families and communities). And the proposed US legislation did nothing to address the root causes of child labor—that the big apparel firms pay so little to the factory owners they outsource production to that the factory-owners cannot pay their works well, even if they want to, and thus families are so poor that children must work for them to survive; there were no provisions in the legislation for pushing US companies to invest the money in raising wages in Bangladesh needed to improve working conditions. If the US activists had built strong relationships with Bangladeshi activists, the sort of mess could have been avoided—and, fortunately, US anti-sweatshop activists nowadays tend to be much more conscious of the need to build such relationships. I know from conversations, both face-to-face and on-line, that many practitioners may be uncomfortable with the sort of confrontational protest involved in working for social change, feeling it doesn’t fit well with the spirit of the practice, where we are asked to see no one as our enemy. 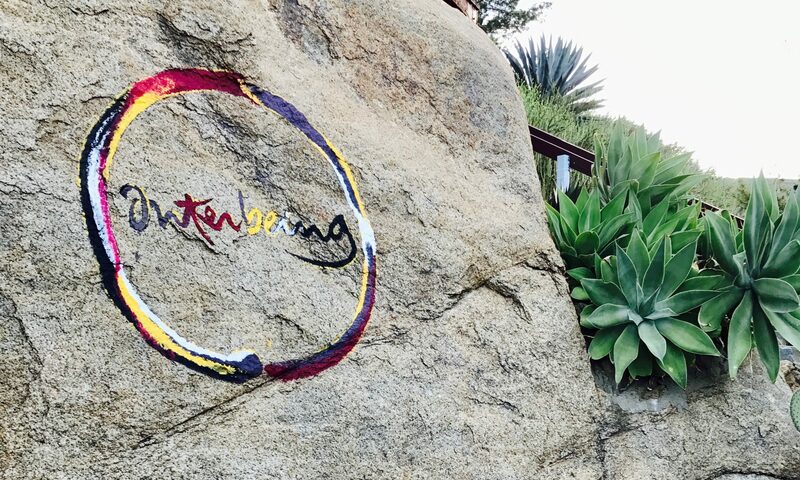 There is certainly a tension between the call to approach all beings with an attitude of openness and reconciliation and the call to take a stand for social justice, both of which can be found in the Fourteen Mindfulness Trainings. I think we can treat this as a productive tension, which we can learn from, rather than one that makes us feel like we have to choose between loving-kindness for all beings and activism against what some of those beings are doing. In my case, I find the sort of systemic critique I explore here helps me cultivate compassion, since it stresses the problem is a bad system, not bad people. The corporate CEO may exploit people in their social role as CEO, but in other parts of their life, they may be involved with philanthropy out of a genuine concern for others. People are complex and contradictory and looking at social problems from a structural perspective reminds me of that and helps me view others with the eyes of interbeing and compassion. Bringing such mindful awareness into more confrontational activism helps keep me grounded in various ways. At the simplest level, mindfulness helps me cope with stress and keeps me from getting burned out. I also aspire to cultivate aimlessness in my activism, doing my best to help others and make the world a better place, while letting go of the results. While I still have a long way to go in actually feeling anything like aimlessness, the practice has still helped me cultivate some degree of equanimity. Mindfulness also helps me to remember to cultivate compassion and understanding for those I am in conflict with, so I do not demonize them, but hold out the hope of their transformation. And acting in the spirit of aimlessness and universal compassion reduces how much burn out eats away at me. Bringing together the spirit of deep looking and working for social justice through the nexus of structural analysis of social problems can enrich both. I would add not everyone needs to be involved in social justice activism in the same way. Part of exploring skillful means involves not only looking deeply into the best course of action, but at how you individually can best contribute to that course of action. Different people have different temperaments and abilities. A friend of mine who was active in the nonviolent protest movements of the 1960s and was frequently arrested, told me that the people working behind the scenes to do support work for the arrested, while they might be less publicly visible, were just as import in fighting for social justice. In addition to examining how we bring out about social change, we should examine how we each can best contribute to it. There is something to be said for pushing yourself outside your comfort zone, but there is also something to be said for figuring out what you’re good at and how you can best contribute to social change and focusing on that. I am so absorbed to your explanation of the interrelationships between practicing mindfulness and staying active in societal intervention, tackling sweetshops problem as your example , that I would love to discuss a personal viewpoint toward this very practical and contemporary topic. In your writing you suggested supporting the formation of labour unions so that they can actively balance the inequality and social distance themselves as a strategy to address sweetshop issues. I am very much wondering what would you think of another strategy, not from victim side, but the side of the cause people, transforming the powerful, intelligent, dominant people who currently control and set up the “system”? You argued that we don’t fight against the people, but against the system. However I believe that the system was actually set up by human, and at the very root causes, driven by the consciousnesses of the dominant individuals in the society. If we could transform the those people, their anger, fear, greediness, selfishness, or misperception of the nature of world, could it be, let’s say, a more sustainable solution? I am very looking forward to hearing your response, as I am so involved in what you raised in this writing. Thank you very much for taking time to read my comment. Thank you for engaging with my column. While it is true that sometimes have a benevolent authority figure can improve things, I don’t think focusing on transforming the consciousness of people in positions of power is actually a sustainable solution. That’s because the people in charge are often less the problem than the system that they are part of. Think about it this way. Would you want to argue that slavery as a social system could be made benevolent by having better slave owners, slave owners who have a paternalistic concern for the well-being of their slaves? I’m assuming the answer is no. Slavery is a fundamentally unjust social system. Why? Because the inequalities in power leave such a system ripe for abuse. If the slave owner is not benevolent, there is little the slaves can do to improve their lot, because they lack the freedom to challenge the slave owner. Even if the slave owner is well-meaning, it may well be that their attempts to help their slaves are misguided, not really helping them, because of the lack of real communication the inequalities in power and social distance engender. And most slaves will fear to challenge the slave owner in this regard, since the slave owner has total power of them. It’s worth noting that, prior to the US Civil War, the movement to abolish slavery tried to end slavery through moral persuasion—convincing slave owners that slavery was morally wrong. They made a few converts, but most slave owners doubled down and began defending slavery as a positive moral good. Abolitionists, many of whom started off as pacifists, soon felt they had little choice but to back the North in the Civil War if they wanted to end slavery. While not as extreme, capitalism has similar problems with the gap in power between the business owner and their workers. The system is ripe for abuse. Even when a business owner means well, the inequalities in power and social distance may make real communication with their workers difficult—and, as Thay has stressed, to truly help people, we need to understand them; and to understand them, we need open communication with them. Labor unions begin to introduce some balance of power into the workplace—though the balance still decidedly favors capitalists—as well as some elements of democracy and freedom of speech. When successful, they create the conditions where the business-owner must engage in dialogue with their workers and really listen to their own understanding of their needs and aspirations. Meaningful dialogue can only take place when there is some level of equality in power. And this is why I think worker co-ops—business democratically owned and operated by the workers themselves—are the real long-term solution, since the co-op is a social form founded on principles of equality and democracy; and therefore is much more likely to promote open communication and dialogue when there are disputes or conflicts of interest. Ultimately, capitalism needs to go the way of chattel slavery. There are certainly cases where business owners have run their businesses in ways where they genuinely looked out for the well-being of their workers. These are generally small to medium size businesses that are individually or family-owned. (In the US, businesses traded on the stock market are legally required to maximize the returns for their share-holders by any means required—meaning they are not legally allowed to focus on the well-being of their workforce, especially if exploiting them would be more profitable in the short term.) Even in the case of the family-owned medium-sized businesses, this benevolence is often not sustained. It’s not unusual for a benevolent owner to retire and the new generation of owners to be highly exploitive. I once interviewed someone who had worked at a factory where the original owner was fairly benevolent. When his son inherited the company, he began being really exploitive—and the workers felt they had no choice but to unionize to protect themselves. (The woman I interviewed was elected president of the union by her fellow workers.) Just because one person in power is benevolent does not mean their successors will be. Cambodia once has some of the best working conditions in its apparel factories of any developing country. The country had a trade agreement with the US, in which the US labor movement had inserted a clause which said that, as long as Cambodian factories meant certain high labor standards, they would have a guaranteed quota of exports to the US. So Cambodian factories had good conditions—and Cambodian factory-owners were proud of this. And then the trade agreement expired, there was no more guaranteed quota, Cambodian factory owners had to compete with those from other countries, and they rapidly found themselves forced to run sweatshops like factory-owners in other countries did. They had no other choice if they wanted to stay in business, even though they had earlier prided themselves on good factory conditions. The social system made it impossible for them to sustain their own benevolence. It is certainly better to have well meaning people in positions of power. They can be more likely convinced by social movements, labor unions, etc. to do things that improve people’s lives. But in and of itself a search for benevolent authorities as a solution to social problems is a dead end. If we want to create positive social change that is sustainable, that means fundamentally changing the social system.